A group of soldiers in Vietnam, saving some missing in action soldiers in a schoolbus. A group of soldiers in Vietnam, saving some missing in action soldiers in a schoolbus. Fleeing a Christian mission under Viet Cong attack some soldiers and missionaries make their way into the jungle in a school bus. The bus is stopped and commandeered by some other soldiers on a mission and in desperate need of transport. Ridding the bus of the VC agent driver they take the bus on their mission putting everyone in danger. Solid action film isn't anything special other than it moves along at a good clip and keeps things moving in such away that things never have a chance to get dull or boring. The action scenes are suitably explosion filled and the non-combat stuff is just different enough that you don't feel like you're getting bogged down in cliché. Never aspiring to be more that the action filled exploitation film that it is, the film manages to provide enough entertainment that you don't feel you've wasted your time. Its perfect for curling up on a couch and watching on a rainy Sunday afternoon. 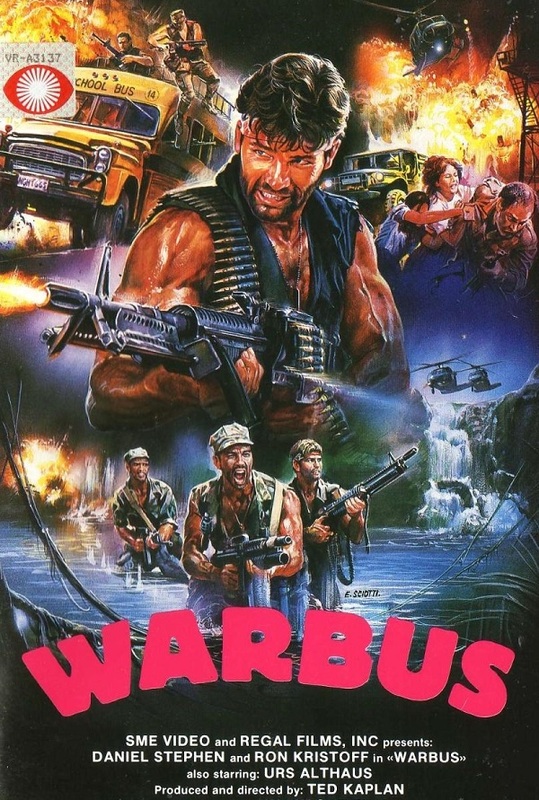 Just one of the many Italian-made Vietnam war titles to proliferate the video shelves in the '80s, director Ferdinando Baldi's War Bus is light on plot, but heavy on the action, making it a mindlessly entertaining way to pass the time. The film opens as the North Vietnamese attack a jungle mission, the outpost's occupants narrowly escaping on a school bus. 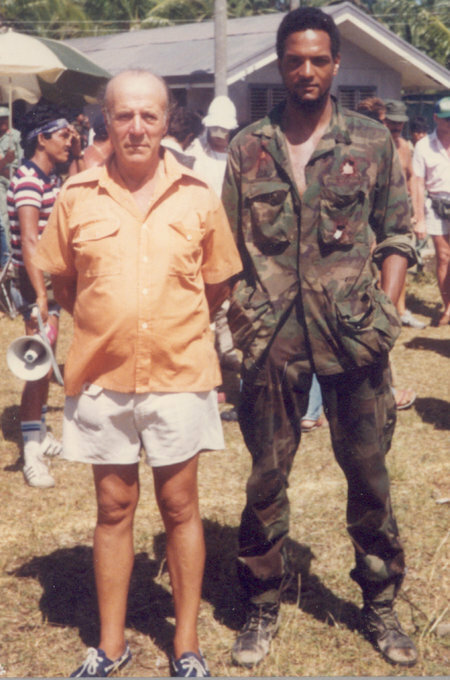 Soon after, the missionaries encounter three U.S. marines who commandeer the vehicle. What follows is an arduous trek through hostile territory, with the odds for survival stacked against them. Although the movie's characters are clichéd and the dialogue predictably dumb, it matters not, Baldi delivering precisely what fans of this kind of flick demand: almost non-stop action, with lots and lots of machine gun fire and great big explosions. Pyrotechnically speaking, the film is a blast (pun intended), with huts and vehicles erupting in fireballs throughout, a vast portion of the budget clearly spent on TNT. The finalé is particularly fun, as the NVA launch a final attack just as help is on the way, with a massive battle in which the hitherto unscathed heroes finally suffer some casualties (although it's not all that hard to guess who survives and who buys the farm).